Jaffa coconut rough is made with 5 ingredients – coconut oil, cacao, shredded coconut, maple syrup and wild orange essential oil. I have also included the thermomix method. 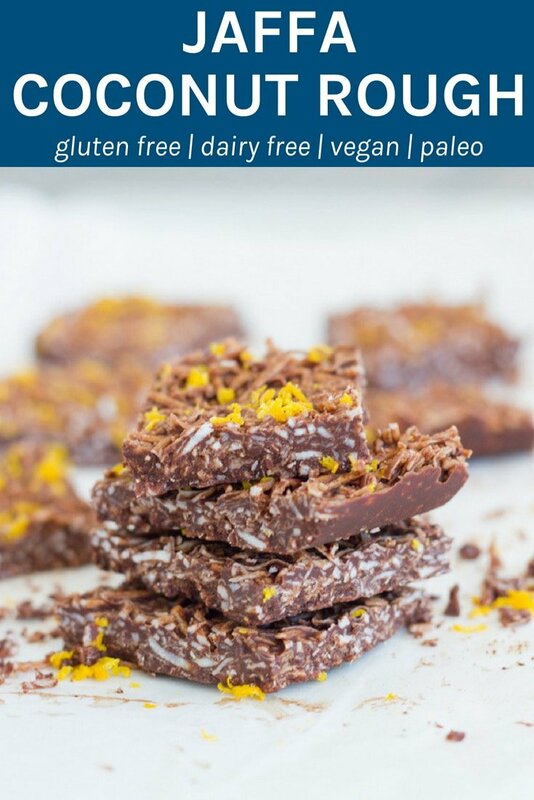 My coconut rough is one of the easiest healthy chocolate treats that you can make. It only takes 5 minutes to make and around 30 – 60 minutes to set. It does not get much easier than that. It has been one of my most popular recipes to date for that reason. I now add essential oils to my coconut rough to change up the flavours. First, I started adding peppermint essential oil to make my minty coconut rough and now I have been making this jaffa coconut rough using wild orange essential oil. I have also included the thermomix method for all the thermi users out there. Now, what essential oil to try next!! Jaffa coconut rough is made with 5 ingredients – coconut oil, cacao, shredded coconut, maple syrup and wild orange essential oil. Melt the coconut oil in a saucepan on low heat. Once melted, remove from heat, add the maple syrup, whisking briskly until well combined. Then add the cacao powder, stirring until well mixed through. Place the shredded coconut and wild orange essential oil into the saucepan and stir through the chocolate mixture. Spread evenly on a lined baking tray and place in the freezer for 30 – 60 minutes to set. Cook time does not include the time it takes for the jaffa coconut rough to freeze — approximately 30-60 minutes, depending on the temperature of your freezer. Add the coconut oil to the thermomix bowl and melt for 1.30 mins / 100 C / speed 2. Next add the sweetener and essential oil, mix for 5 seconds / speed 4. Then, whisk in the cacao powder for 10 seconds / speed 5. 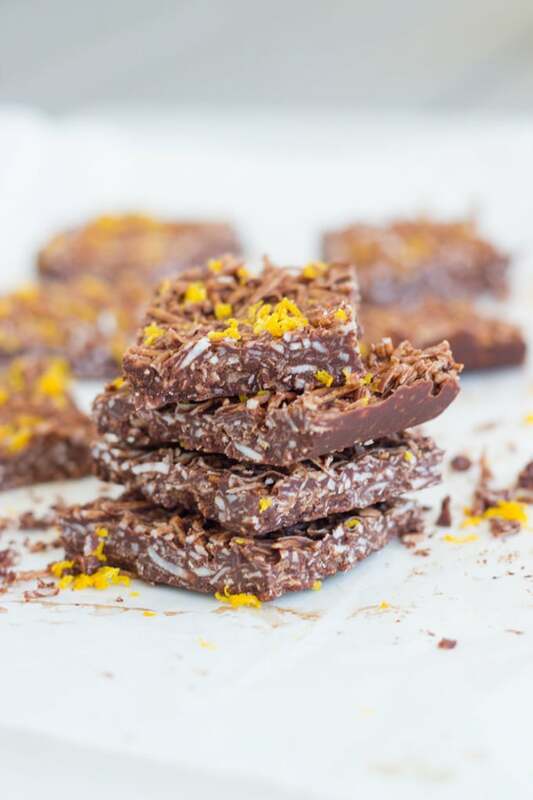 Place the shredded coconut in a lined baking pan (15cm x 15cm) and pour the chocolate mixture over the top, ensuring that the coconut is evenly coated. Place in the freezer for 30 – 60 minutes to set.